It's not too late! 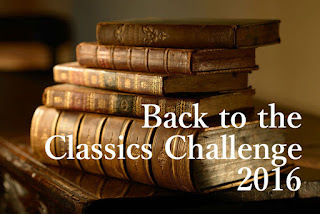 Today is the very last day to post any links if you'd still like to participate in the Back to the Classics Challenge. You can still post your links for the twelve categories, plus the Final Wrap-Up Post. Approximately 35 people have posted links (including myself, but don't worry, I'm not included in the prize drawing!) out of more than 150 people who signed up originally. Odds are still pretty good -- you only have to link posts to six different book reviews to qualify for the $30 (U.S) gift certificate to Amazon.com OR The Book Depository! 19th Century Classic: Phineas Redux by Anthony Trollope. Completed 3/11/16. 20th Century Classic: Lucky Jim by Kingsley Amis. Completed 1/29/16. Classic by a Woman Author: The Shuttle by Frances Hodgson Burnett. Completed 5/17/16. Classic in Translation: The Conquest of Plassans by Emile Zola. Completed 11/01/16. Classic by a Non-White Author: The Black Tulip by Alexandre Dumas. Completed 12/26/16. Adventure Classic: Journey to the Center of the Earth by Jules Verne. Completed 2/20/16. Fantasy, Sci-Fi, or Dystopian Classic: The Phoenix and the Carpet by E. Nesbit. Completed 2/23/16. Classic Detective Novel: Armadale by Wilkie Collins. Completed 2/15/16. Banned or Censored Classic: Grand Hotel by Vicki Baum. Completed 10/5/16. 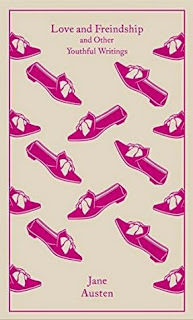 Reread a Classic From School: Jane Eyre by Charlotte Bronte. Completed 9/10/16. 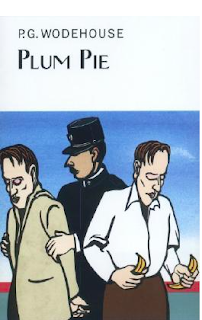 Classic Short Stories: Plum Pie by P. G. Wodehouse. Completed 12/11/16. Favorite reads of the year: The Phoenix and the Carpet; The Shuttle; and Phineas Redux, though I also really enjoyed Lucky Jim and The Black Tulip. Least favorite: The Conquest of Plassans was okay, but not my favorite Zola. It did have some good moments though. And New Grub Street was pretty depressing, though well written. I'm happy to be finished with the challenge and looking forward to my 2017 reads. 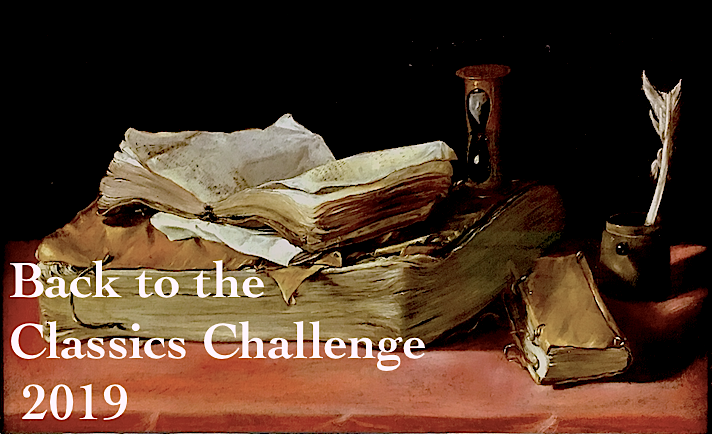 Don't forget, tomorrow is the last day to post your challenge-wrap up and qualify for the Back to the Classics Challenge prize! 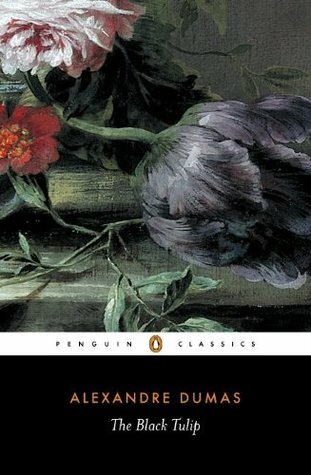 Written in 1850, The Black Tulip is one of Alexandre Dumas shorter historical novels, just the thing for a quick read at the end of the year. If you're in the mood for a classic but don't want to commit to something lengthy, or if you've never read Dumas and are intimidated by his longer works, this is a good choice. 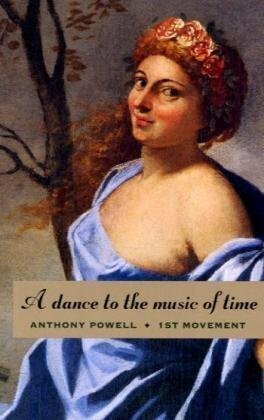 Set in 1672, this book is not set in France but in Holland, during the height of the tulip mania, and also of political unrest. It begins with the lynching of two politicians, Johan and Cornelis de Witt, who are actual historical figures. I found the background somewhat confusing but the upshot is that one of the victims is the godfather of the main character, Cornelius van Baerle, a young doctor and tulip fancier. About the time of the lynching, a challenge has been issued: the first person to successfully breed a pure black tulip will be awarded one hundred thousand florins. Cornelius has been working on such a tulip and has a jealous neighbor and rival tulip fancier, Isaac Boxtel, who will stop at nothing to steal the prize for himself. He gets Cornelius imprisoned on trumped-up charges, much like Edmund Dantes in The Count of Monte Cristo. But the noble Cornelius has an ally -- Rosa, the beautiful daughter of the nasty jailer Gryphus, who naturally falls in love with him. If it all sounds over-the-top and overly dramatic, well, it is. There's not a lot of character development and the plot is fairly predictable, but it's interesting and has a satisfying ending. I think was just intrigued by this book because I'm interested in the time period, and, quite frankly, because I love tulips. 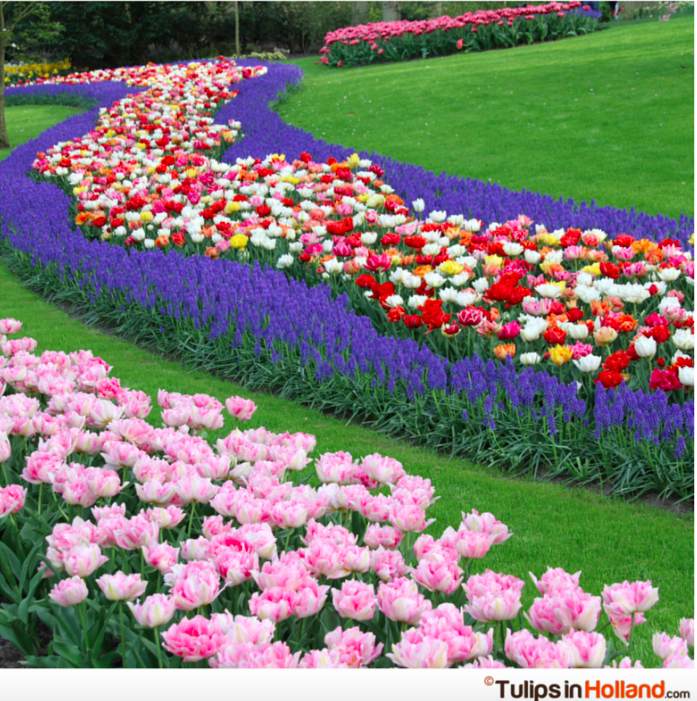 I'm really hoping to visit Holland next spring during the tulip festival. I'm also looking forward to the upcoming Tulip Fever movie adaptation scheduled for release next year. It has lots of big stars in it, including Judi Dench, Christoph Waltz and Alicia Vikander, so I hope I can see it in English in a movie theater close by (we do have a movie theater on the Air Force Base nearby but smaller films don't always have showings and the German theater has limited movies in English; I may end up having to wait and watch it on DVD). Anyway, this was a quick an enjoyable read and it's on my Classics Club list and I'm also counting it for my final Back to the Classics Challenge category, Classic by a Non-White Author. I'm finally finished! And don't forget there are only a few days left to link your posts for the challenge! Remember, you only need six classics to qualify and they can be from any of the categories. "It's all so complicated that I don't know if I can ever make it clear," the old lady began with a droll smile. "My poor head begins to ache when I start to think about it. I believe I understand it until I start to ponder on it and then the explanation goes flying off in a thousand different in a a shower of words: codicils and judgments and instruments and orders and all those other ugly terms associated with the law and Chancery that have cursed our family for more than half a century. . . ."
Basicallly, this quote explains Charles Palliser's The Quincunx in a nutshell. It is a big, fat (781 pages!) historical novel that is the closest thing that I have ever read to a Dickens novel without actually being Dickens; it's kind of like a cross between Bleak House and Oliver Twist with a little Downton Abbey thrown in. In other words, it is EXACTLY my kind of book and I absolutely loved it. But I'm getting ahead of myself. 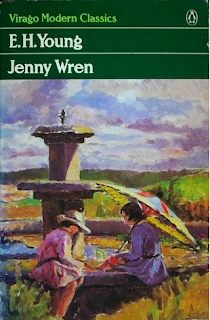 Set in the early 19th century (I'm guessing 1820s or maybe very early 1830s -- there's no mention of railroads or Queen Victoria so it must be a bit earlier), this is the story of John Huffam, a young boy who is ostensibly the heir to a vast estate, but when the story begins he and his mother, a young widow, are living modestly in a rural village called Melthorpe. The book begins when he's a small boy, and he begins to learn the mysterious history of his family, who are connected to other families fighting over an estate called Hougham (the original spelling of his name). 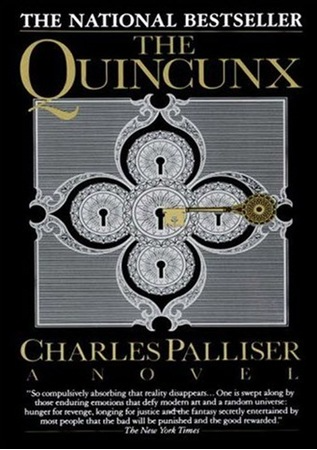 Altogether there are five families involved, which relates to the title; a quincunx is a heraldic figure with four points at the corners and one in the middle, like the five side on a die. It's somewhat confusing, but years ago, John's great-grandfather secretly entailed the estate in a codicil to his will; meanwhile, his spendthrift son had already sold the estate to another family, the money-grubbing Clothiers. Currently, a family called the Mompessons are in possession, but if young John and his mother die without heirs, the entire estate will be transferred to the Clothiers. John and his mother are living under an assumed name and his mother has the original of the codicil which is her most treasured possession. Everyone involved wants to get hold of it so they can establish their rights to the estate. 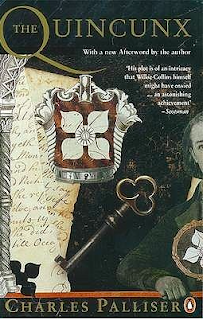 Over a period of about ten years, John and his mother are subjected to burglaries, threats, escapes, and schemes to bilk them out of the small income they have, forcing them into worse and worse circumstances in order to force them to give up the codicil. They don't know whom to trust, and things get about as bad as they can be until John finally learns the truth about his family and needs to protect his own life. My only quibble with the novel was that it is so focused on the will and the codicil. Even the epic Bleak House had a multitude of side characters that gave the reader a break with some comic relief, but The Quincunx never lets up on John's story with the exception of the history of the families entangled; also, there are so many characters that sometimes I got them confused. There is a family tree in the back at the end of each section, plus a list of characters, but eventually I decided not to worry about which ancestor was feuding with whom, or which marriage they were trying to prevent. I didn't realize until I was nearly at the end there were multiple family trees that filled in as the book progressed (to prevent spoilers, for which I'm grateful) -- another advantage to reading the print book instead of the electronic version, which doesn't include them. I'm sure if I had taken notes it would all make sense, or if I decide to read it again. (Even Bleak House didn't go into too much detail about the disputed wills; it's just assumed that years ago Jarndyce made a bunch of conflicting wills and it's up to the Chancery courts to decide. Enough). 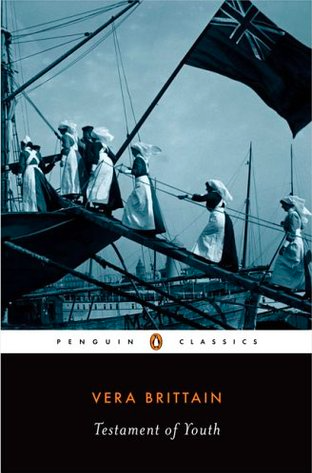 Nevertheless, this is really worth reading if you love a big, fat, Victorian sensation novel. I was recently on a long journey and had time to read in airports, planes, and trains; luckily I was also able to download the e-book on both my phone and a tablet, so I was able to read it in bits and pieces, which was easy since it's 125 short chapters, just like a real Victorian novel. I haven't read anything else by Palliser but I loved this --it's one of my favorite reads of the year and will definitely look for more of his works. For my Back to the Classics Challenge, I needed a volume of short stories, so I turned to my own TBR shelves. Lately, I've been in dire need of fun, escapist reads, and P. G. Wodehouse has never let me down. I chose Plum Pie, a collection of nine stories. First published in 1966, it just made the cutoff for the challenge. Wodehouse had an amazingly long publishing career -- his first novel The Pothunters was published in 1902; his last complete novel, Aunts Aren't Gentlemen was published an astonishing 72 years later, in 1974. Though Plum Pie is late in the Wodehouse oeuvre, it still has some stellar moments, and include some of his classic bits, including Jeeves and Wooster, a golf story, a Blandings story, and an Ukridge story. By far my favorites from the collection were the first story, "Jeeves and the Greasy Bird," in which Jeeves and Aunt Agatha manage to disentangle Bertie from an unwanted engagement once again (seriously, how many times has Bertie inadvertently been betrothed?) and the final story, "Life with Freddie," which is really a 70-plus page novella about Freddie Threepwood of the Drones club. That one involves three different romantic entanglements on a cruise ship; smuggling an expensive diamond necklace to avoid paying stiff import taxes; and Freddie's attempts to land a dog biscuit account with a large department store executive. It's all very slapstick and silly and naturally it ends well for the majority of the characters (well, at least the ones I was rooting for). 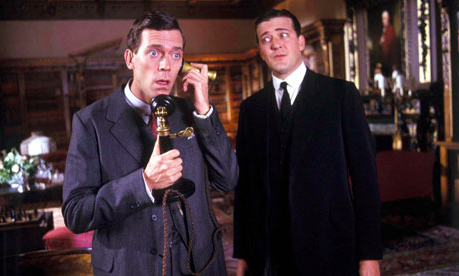 Hugh Laurie as the hapless Bertie Wooster and Stephen Fry as Jeeves in the brilliant ITV adaptation from the early 1990s. I love Wodehouse but some of these stories seemed a bit tired and not very memorable, and I'm quite sure at least one of the stories had a recycled plot about a dog that was given away and had to be stolen back (I swear I've seen that story with Bertie Wooster and a Scottish terrier on the TV adaptation. Is it technically considered plagiarizing if a writer copies his own work?) And when will the members of the Drones club ever learn that it's a very bad idea to bet money on horse races -- especially money that they don't actually have? However, even if the plots and themes are the same, Wodehouse nearly always manages to amuse me. Most of the stories in this volume were previously published in magazines; also, there are some bits and pieces between the stories which I believe are excerpts from newspaper columns Wodehouse published in the U.S. They really didn't add much to the collection. However, lesser Wodehouse works are still funnier than most books and stories, so it wasn't a waste of time. Overall, I'd say this is worth reading if you are a die-hard Wodehouse fan. If you're a Wodehouse beginner, I'd stick with some of the earlier Jeeves collections, like Very Good, Jeeves or The Code of the Woosters, both of which is are just brilliant. I've only read about a dozen of Wodehouse's works so I have plenty of books left before I run out, in which case I will start over from the beginning. Bloggers, are any of you Wodehouse fans? Which are your favorites? 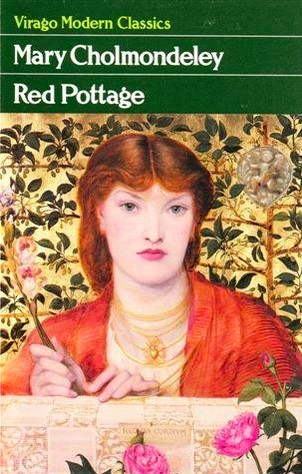 19th Century Classic: Red Pottage by Mary Cholmondely or The Semi-Attached Couple by Emily Eden. 20th Century Classic: Testament of Youth by Vera Brittain OR London War Notes OR One Fine Day, both written by Mollie Panter-Downes. Classic by a Woman Author: This is basically a free choice, but I want to read either a Virago or Persephone imprint, since I have quite a few unread on my shelves. Possibly Jenny Wren by E. H. Young. Classic in Translation: Maman, What Are We Called Now? by Jacqueline Mesnil-Amar is a recent Persephone reprint that I bought at the shop in London last summer. First published in 1957, it's a diary kept by a Jewish Frenchwoman during the WWII Occupation of Paris. 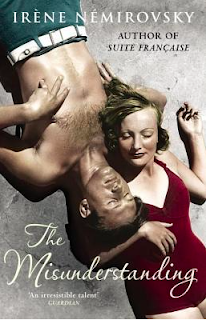 I could also read the The Misunderstanding by Irene Nemirovsky. Pre-1800 Classic: This is a little tricker if I want to read a female author, but I do have Love and Freindship by Jane Austen in a beautiful hardcover Penguin edition, and it includes all her juvenilia so it counts. Romance Classic: Something by Georgette Heyer -- she's written so many, and they're really fun, light reads. I have a copy of The Masqueraders but my library has several of her other books including Arabella and Friday's Child. Gothic Classic: Something by Daphne du Maurier, though I don't know if all her books are considered Gothic. I haven't read Frenchman's Creek and I think that one would qualify. 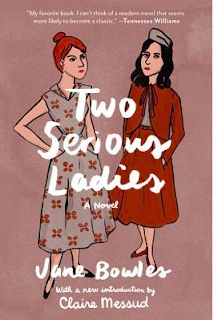 Classic With a Number in the Title: Two Serious Ladies by Jane Bowles. I just bought this and it looks really interesting. 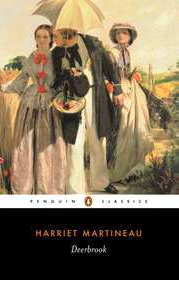 Classic About an Animal (or Animal in the Title): Deerbrook by Harriet Martineau. It's a big fat Victorian that's been on the TBR shelf for several years. 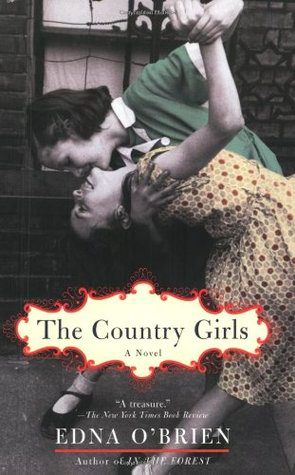 Classic Set in a Place I'd Like to Visit: The Flame Trees of Thika (Kenya) or something by Pearl S. Buck (China), or The Country Girls by Edna O'Brien (Ireland). 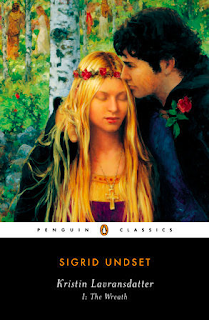 Award-Winning Classic: Miss Mole by E. H. Young or Kristin Lavransdattar by Sigrid Undset. Russian Classic: This is a tough one because I don't know of any classic Russian authors that are women. However, Persephone has a book translated from Russian called Into the Whirlwild by Eugenia Ginzburg, a memoir of Stalin's terror published in 1967 which would just make the cutoff. I could also read something by Irene Nemirovsky. She wrote in French but was born in Ukraine and her family left after the Revolution, so I think that qualifies her as a Russian writer. And of course, some or maybe all of these will probably change -- I don't think I've ever completed this challenge with the original list! Bloggers, have you read any of these, or do you have any other suggestions to fit these categories? And do any of you choose a theme when deciding on books for a challenge? It's back! 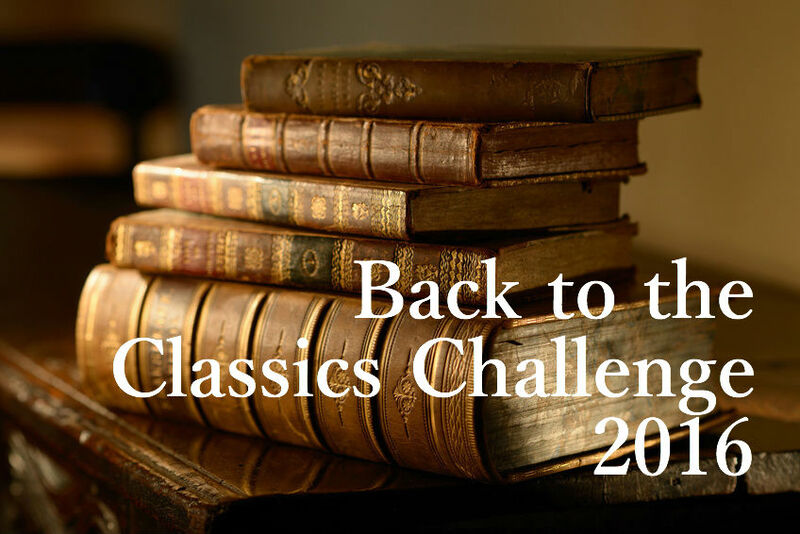 Once again, I'm hosting the Back to the Classics Challenge. I hope to encourage bloggers to discover and enjoy classic books they might not have tried, or just never got around to reading. And at the end, one lucky winner will receive a $30 (US) prize from Amazon.com or The Book Depository! 5. A classic originally published before 1800. Plays and epic poems are acceptable in this category. Translations can be modern in this category also. 11. An award-winning classic. It could be the Newbery award, the Prix Goncourt, the Pulitzer Prize, the James Tait Award, etc. Any award, just mention in your blog post what award your choice received. It must be an actual award-winner; runners-up and nominees do not count. All books must be read in 2017. Books started before January 1, 2017 do not qualify. All reviews must be linked to this challenge by December 31, 2017. I'll post links each category the first week of January which will be featured on a sidebar on this blog for the entire year. You must also post a wrap-up review and link it to the challenge no later than December 31, 2017. Please include links within your final wrap-up to that I can easily confirm all your categories. Also, it is OK to rearrange books to fit different categories in your wrap-up post -- for example, last year I originally planned to use Journey to the Center of the the Earth in the Fantasy/SciFi/Dystopian category, but then I decided to count it as an Adventure Classic. Most books count count toward several categories, so it's fine if you change them, as long as they are identified in your wrap-up post. All books must have been written at least 50 years ago; therefore, books must have been written by 1967 to qualify for this challenge. The ONLY exceptions are books published posthumously. Recent translations of classics are acceptable. Books may NOT cross over within this challenge. You must read a different book for EACH category, or it doesn't count. Children's classics are acceptable, but please, no more than 3 total for the challenge. Single short stories and short poems do not count, but you may use epic poems like The Odyssey and short story collections like The Canterbury Tales, as long as it is the entire book. If you do not have a blog, you may link to reviews on Goodreads or any other publicly accessible online format. For example, if you have a Goodreads account, you could create a dedicated list to the challenge, and link to that with a tentative list (the list can change throughout the challenge). The deadline to sign up for the challenge is March 1, 2017. After that, I will close the link and you'll have to wait until the next year! Please include a link to your original sign-up post, not your blog URL. Also, make sure you add your link to the Linky below, NOT IN THE COMMENTS SECTION. If I don't see your name in the original Linky, YOU WILL BE INELIGIBLE. If you've made a mistake with your link, just add a second one. So what are you waiting for? Sign up at the linky below! I'll be posting my list of possible reads for 2017 in the next couple of days. Happy reading!